One if my absolute favourite places in Melbourne is the Footscray 'Little Saigon' market, this place is a must visit for anyone interested in Vietnamese cooking. They have just about everything you could want for cooking Vietnamese food. I often end up wandering around buying random items that I have read about and don't really have a purpose for, I just buy them because I had read about them somewhere and I get excited that I found them. Sometimes they get used and sometimes they don't, it doesn't really matter to me. I just get excited about the discovery, like its some kind of treasure hunt. I suppose I feel a bit like a little kid in a toy store! 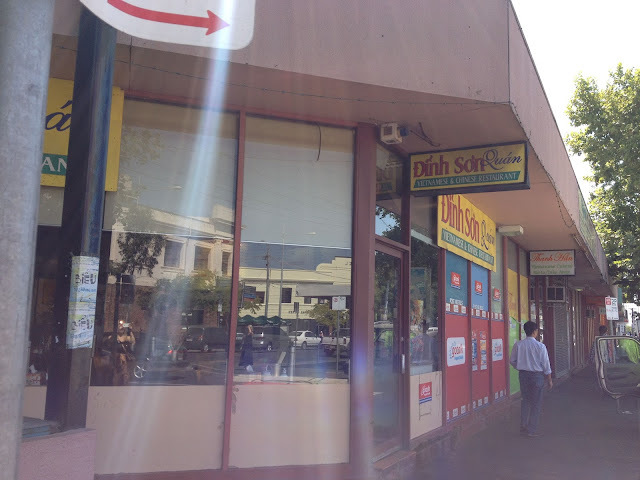 Whenever we go to 'Little Saigon' we usually end up buying a serve of the Banh Cuon from Dinh Son Quan to take home. Its such an interesting snack and at $7 for a container its much easier that trying to make it yourself. 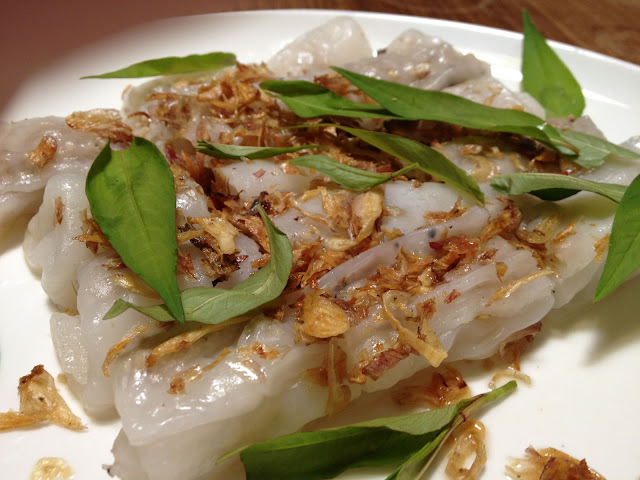 Banh Cuon is steamed rice noodles wrapped in a pork mince mix that is served sprinkled with crispy onions with a Nuoc Man dipping sauce. When you order it in the restaurant it also comes scattered with fresh mint and usually a couple of mung bean buns.